Many don’t realize how large or how important labeling is in our lives. Yet pick up just about any product you use regularly, or make a run to the grocery store, and you’ll discover labels are everywhere. Grand Rapids Label is committed to labeling excellence, and that includes staying on top of industry trends. So where can anyone read the latest labeling news and learn about the incredible technology shaping the business of labeling? Here are a few magazines and other publications you should follow. Flexographic Trade Association (FTA)’s FLEXO magazine. An institution since 1958, the Flexographic Trade Association’s FLEXO magazine is a great resource for information and updates on the flexographic printing industry. You’ll find plate-making guides, extensive member insights and more. Labels and Labeling magazine. Learn how to get rid of labeling errors, get insight on global labeling trends, find out how brands are using labels to advance their business and more. Label & Narrow magazine. Also available to read online, Label & Narrow magazine includes information on important people in our industry, new products, information on environmental sustainability and much more. Tag and Label Manufacturers Institute (TLMI). You’ll find a list of studies, newsletters and industry standards from the institute. You can access them via the publications section of this website. 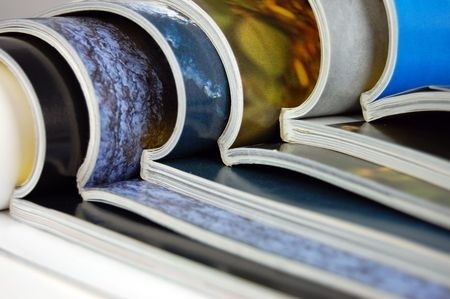 No matter your depth of interest in the labeling industry, each of these publications has something to offer for newcomers and seasoned professionals at like. We encourage you to grow your business knowledge with these outstanding resources.